Where: Willamette University, Salem, Oregon. No pets allowed; service animals welcome. The cost of the Academy covers lodging, training, and most meals. The Academy cost is the same for one class or multiple classes. Fee is non-refundable and non-transferable. 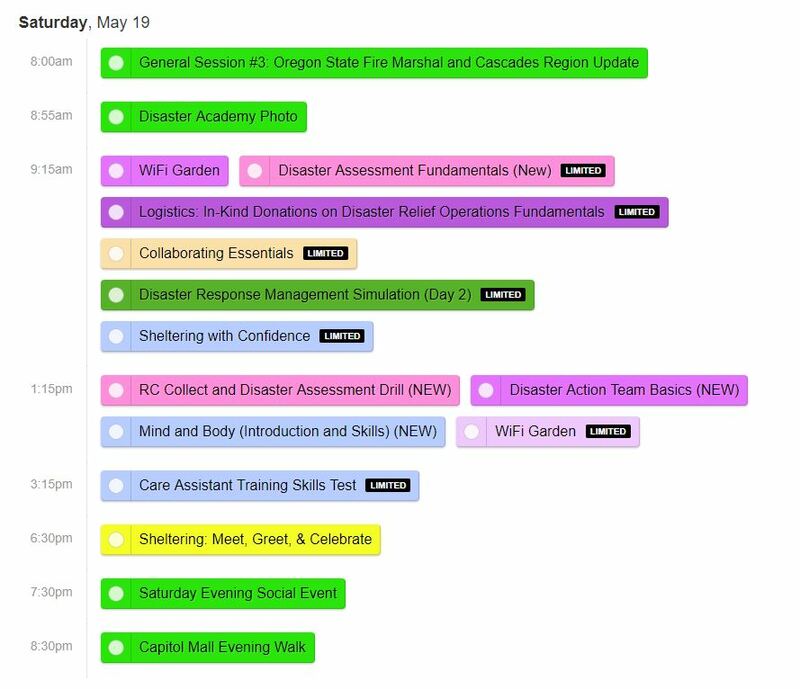 Once a year the Cascades Region comes together for a weekend of training at the Disaster Academy. During this time we update our skills and spend time with our larger team, working together to make us ready to assist our local communities when disaster strikes. Why should you come to the Disaster Academy? You should come because it will help you better understand the Cascades Region as a whole. We're made up of individuals from Oregon and Washington and we work together to prevent and alleviate human suffering in our communities. It may mean responding as a DAT worker to a house fire, responding to regional events, or going on national deployments. It may also involve installing smoke alarms, assisting with community presentations, helping out at a Service to Armed Forces Rally or a fundraiser, surveying potential shelter sites, conducting Pillowcase programs for kids, taking care of our offices, or coming together for a geographic volunteer meeting. The list is never ending. We don't have time very often to catch up with one another over a scoop of ice cream. We're normally too busy. At the Disaster Academy we have the opportunity in a non-disaster environment to get to know each other, build relationships, and ready ourselves to serve. Some of you will drive many hours to come and we can promise you it will be worth your time and effort. We are extremely excited about this year's training opportunities and we have something new for everyone. Join us in 2018 for the 6th Annual Disaster Academy and strengthen the Cascades Region with your attendance. This will be a paperless event. 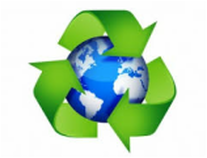 We will not be printing course materials – you should download your materials before the event. You can download your materials from Sched.org after you pick your schedule. We will have "Gardeners" available to help you in the WiFi Garden if you need assistance. You will be asked in the registration process if you have a device (i.e. laptop, tablet, etc.) to bring with you; if not, a loaner will be provided at the event if you reserve one during the registration process. If you want paper copies of your course materials, you will need to print those and bring them with you. - Laptop or Tablet if you have one available (or reserve one during registration or print your materials and bring them with you). - Snacks and drinks -- Coffee and tea will be provided in the morning and afternoon breaks. To help keep costs down, we invite you to bring your own soft drinks that you would like during morning and afternoon breaks. We will not be serving snacks in between meals; feel free to bring your own snacks. - Classes and sleeping areas are in unconnected buildings and it could be a 10 minute walk between classes, meals, and venues. - We recommend you bring a lightweight jacket/rain slicker (just in case). - Bring shoes that are appropriate for walking (tennis shoes work great). This year our lodging assignments, like last year, are closer to the classrooms in dormitories that have been updated in the past four years. 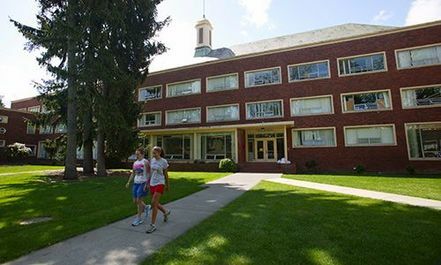 Lodging will be available Thursday, May 17 through Saturday May 19 at the Willamette University dorms . Rooms will be double occupancy; each person will have their own bed. If you would like a private room at the Disaster Academy, there is a $90 fee (cost of the empty bed - total cost $125). Restrooms and showers are located down the hall. If you have difficulty climbing stairs, please let us know on the registration so we can place you in our dorm with an elevator. All classroom buildings have elevators; some dorms do not. If you have difficulty walking between the dorms, classrooms, and cafeteria, we will be providing golf cart shuttle to help you get from place to place. The links to the right will help you make your decisions about which course are best for you. 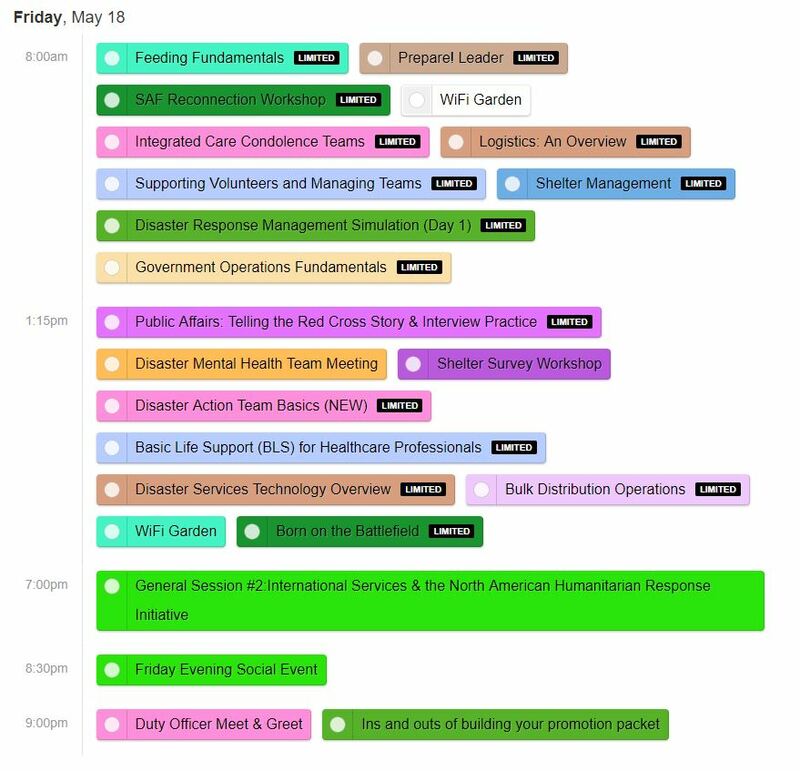 If you are having a hard time making a decision, you can check with your Disaster Program Manager or Activity Lead or email us at training.cascades@redcross.org and we'll be happy to help you. The course catalog contains general descriptions of the courses being offered. 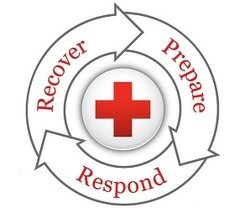 If you are interested in taking Concept of Operations Management & Simulation, you will need to complete the advanced course application and return it to training.cascades@redcross.org. Thursday is a bonus day! This means that you are responsible for your meals on Thursday, May 17th.